More than a decade ago, living and working in London (Duty Control Managers at Eurostar), doubts were setting in. Was this really it? The job for life, stuck in the same office for many years to come with no realistic prospect of an acceptable change, however good the salaries? A plan was hatched, one which involved finding a way to tap into the wealth generated by the British housing market. This could only be done by moving abroad, so we started to look towards Spain. The country had always had a big influence on Bernadette, from her early teenage years on, and, combined with Patriek’s experience in the hotel trade, the search was on for a small establishment which could become the new business. Hours spent trawling the internet produced a few leads. So now it was time to go and have a look. It soon became clear that the building needed to be an existing concern, and for sale, not for rent. 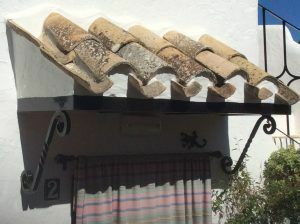 A few days later, we visited Cortijo La Haza, and there it was, “coup de foudre”. We saw the potential of the 5-bedroom place and decided to go for it. 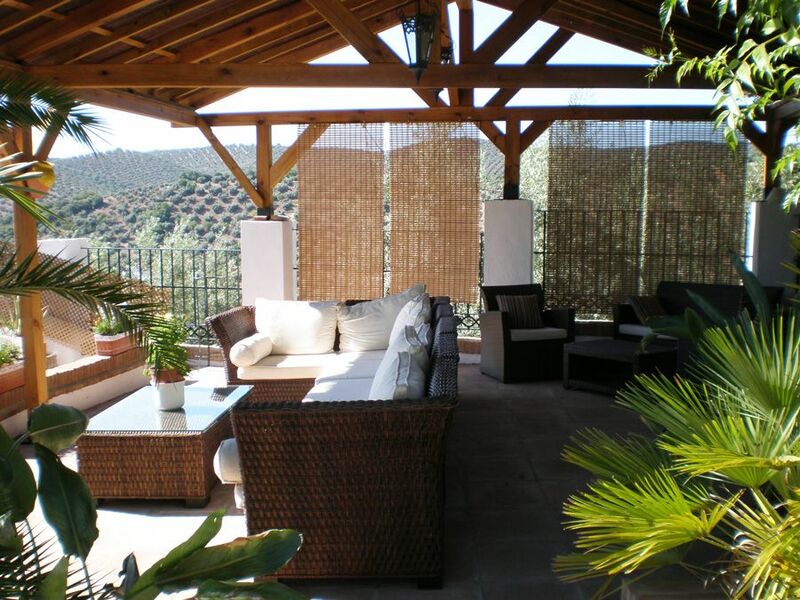 Thus, 7 February 2007 the contract was signed for the purchase and start of the new Cortijo La Haza From humble beginnings, and with a massive effort, the place really started to grow and soon became famous for its quality of service and gastronomy. Every year, during the winter time, a large amount of the earnings would be spent on improvement;, terraces and shady corners were added, rooms enlarged and updated, staircases built outside instead of inside, the Lodge was built, a room was added, a new pool, air conditioning installed throughout, all for the greater good and comfort of our guests. And with the addition of many plants and colourful pots we gave the place a soul. Many of you were following this metamorphosis via our internet postings or our Facebook page. And then many of you came to admire the work in person during the season, but also to enjoy the peace and tranquillity, the gorgeous food and lovely surroundings. Early next year, we will be starting our 12th season and have no immediate plans to stop. While we are happy most of the major work has now been done, there are still a few smaller projects we would like to achieve, this winter we aim to build 5 ménsulas above the windows on the car park-side (a ménsula is a small overhang above a window, like this one above the entrance of room 2), largely for decorative effect. And we hope to be nice and toasty this winter following the imminent arrival of our new heating boiler early November. We have done a lot of work on the place, enjoyed doing it immensely and always with one thing in mind: You, our guests.